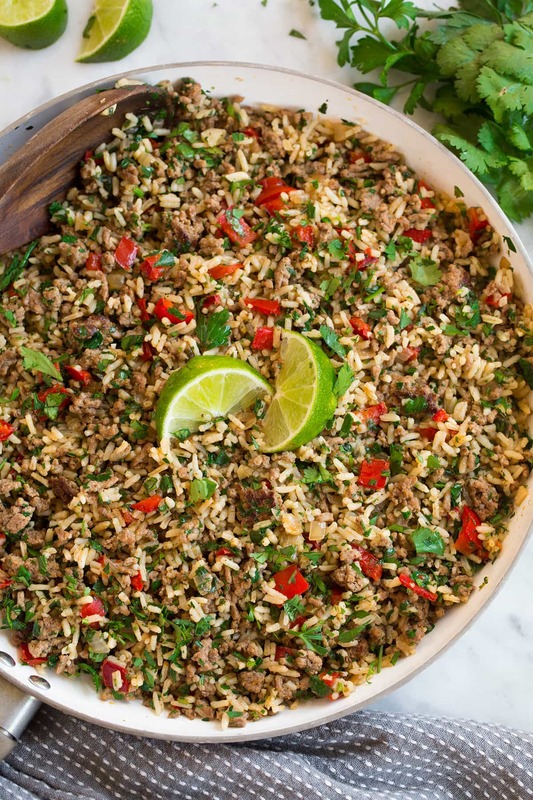 This Chimichurri Beef and Rice is an incredibly flavorful and perfectly filling one pan recipe you’ll want on the dinner menu again and again! It’s so easy to make and you can have it ready in 30 minutes! 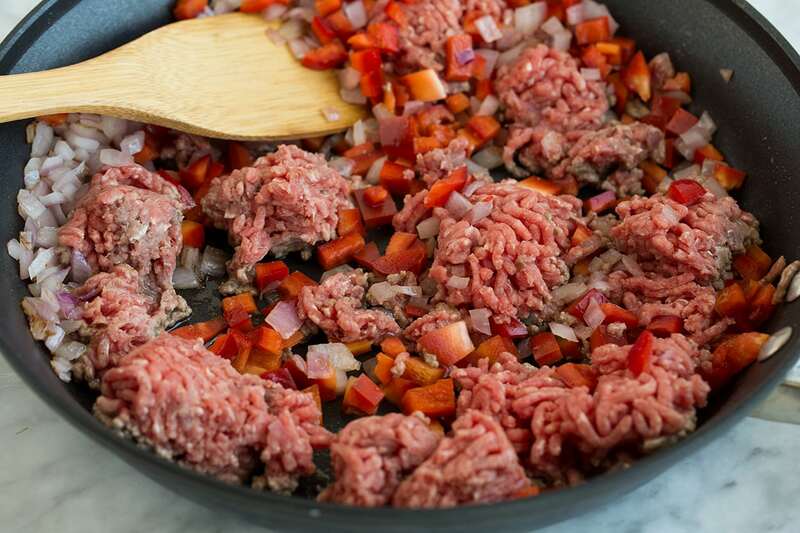 It includes instant rice, ground beef, bell pepper and plenty of chopped fresh herbs. I love that this dish has the fresh herby flavors of chimichurri paired with the rich flavors of beef. And we all know most of are aren’t about to go grilling outside in this 20 degree weather to make steak with chimichurri so this recipe is perfect for the winter so we can enjoy those similar flavors. The other great thing about this recipe – hello one pan dinner! Don’t we all hate those endless dishes? 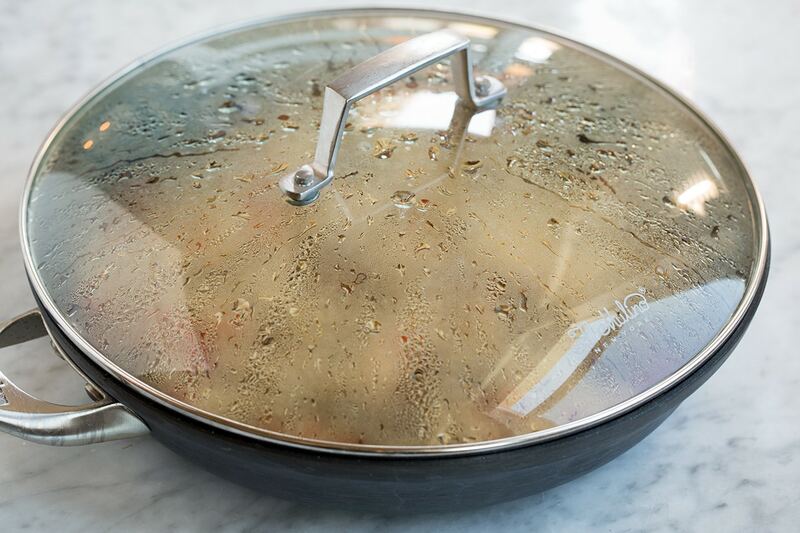 With this recipe you just clean the one skillet and a few prep tools. Plus this will make great left overs if you happen to have any left for lunch the next day. I love when lunch is just waiting in the fridge only needing to be rewarmed. What Ingredients do I Need to Make It? Olive oil – for sautéing. Red onion and garlic – aromatics to add flavor. 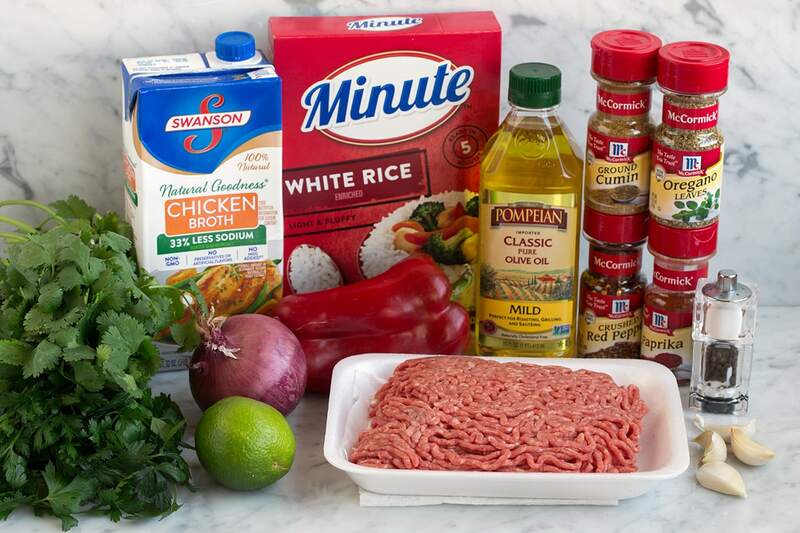 Ground beef – use 85 to 90% lean. Red bell pepper – adds a nice pop of color, and a veggie. Paprika, oregano, cumin, red pepper flakes, salt and pepper – spices that add layers of flavor. Chicken broth – use low-sodium. Beef broth can be used as well I just prefer chicken broth. Instant white rice – regular white rice will not work. 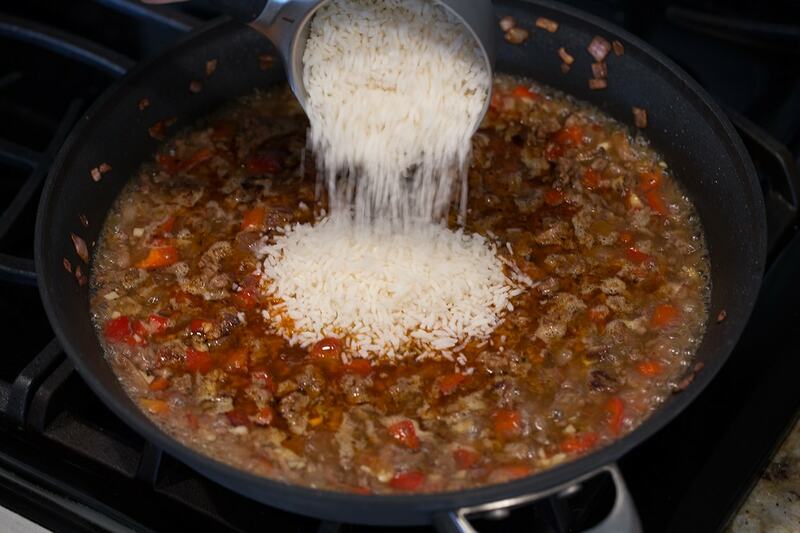 Instant rice is partially cooked so it has a head start. 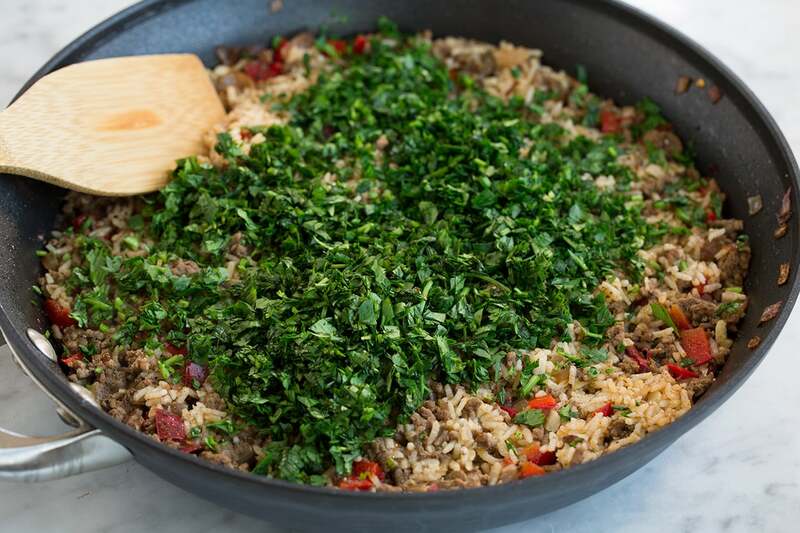 Fresh parsley and cilantro – to give the dish those classic chimichurri flavors. Lime – brightens up the recipe. 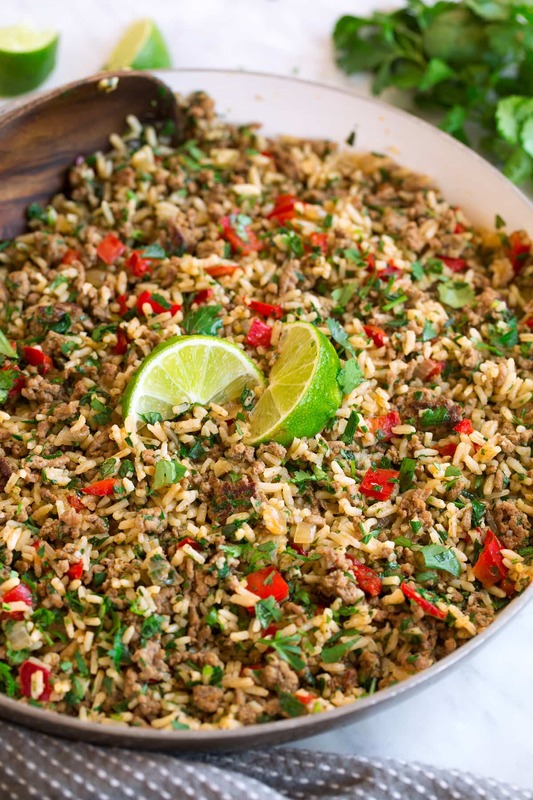 How do You Make Chimichurri Beef and Rice? Heat a 12-inch non-stick skillet over medium-high heat. Add onion and saute 2 minutes. Crumble in beef and add bell pepper. Cook and let brown, tossing and breaking up occasionally, until cooked through, about 7 – 9 minutes, while adding in garlic during the last 2 minutes. Drain excess fat if needed. Stir in chicken broth, paprika, oregano, cumin and red pepper flakes and bring mixture to a simmer. Mix in rice, bring to a boil and let boil 1 minute. Remove from heat, cover skillet and let rest 8 minutes. 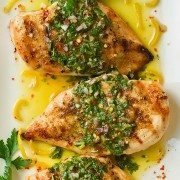 Toss in parsley, cilantro and lime. Serve with lime wedges for spritzing. Can I Substitute Ground Turkey? Ground turkey should work here just as well. Just be sure not to use the super lean kind as it will get grainy and dry. 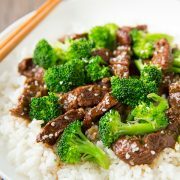 Can I Substitute Instant Brown Rice? Brown Rice Should work here as well but it will need to simmer about 5 – 6 minutes (instead of just 1). 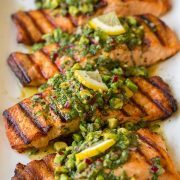 An incredibly flavorful and perfectly filling one pan recipe you'll want on the dinner menu again and again! It's so easy to make and you can have it ready in 30 minutes! 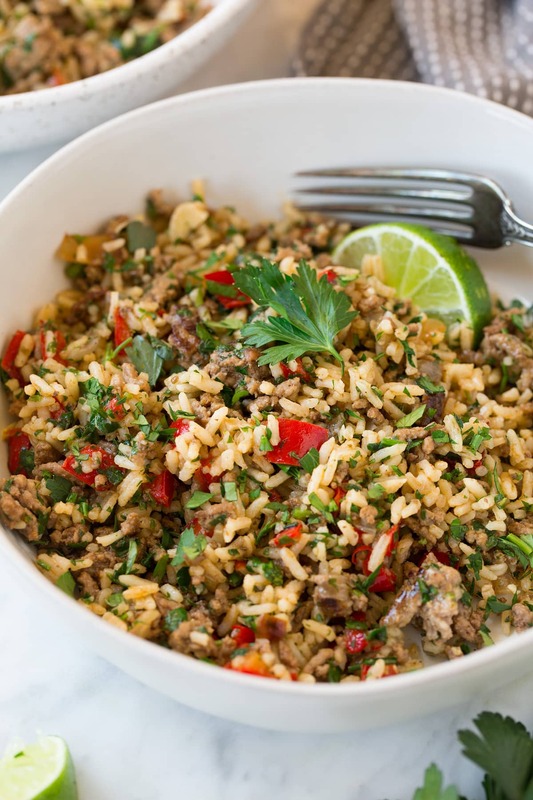 It includes quick cook instant rice, hearty ground beef, bright bell pepper and plenty of chopped fresh herbs. Heat a 12-inch non-stick skillet over medium-high heat. Add onion and saute 2 minutes. 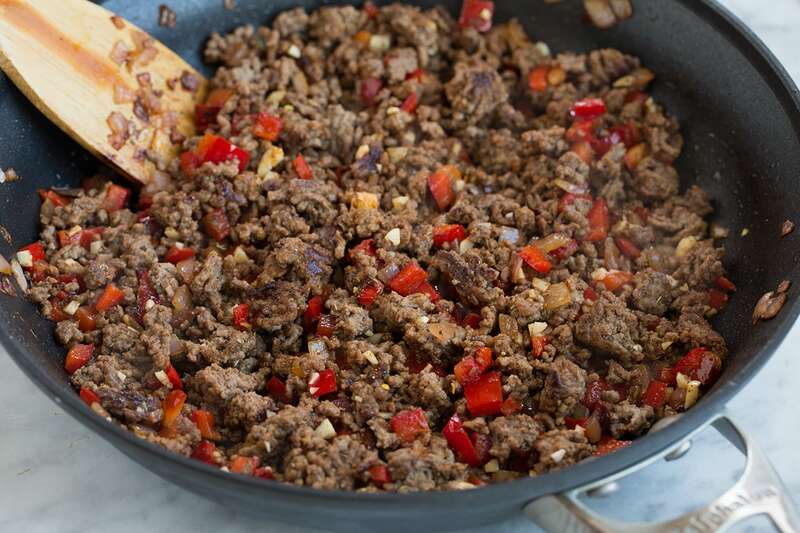 Crumble in beef and add bell pepper. Cook and let brown, tossing and breaking up occasionally, until cooked through, about 7 - 9 minutes, while adding in garlic during the last 2 minutes. Drain excess fat if needed. Stir in chicken broth, paprika, oregano, cumin and red pepper flakes and bring mixture to a simmer. Mix in rice, bring to a boil and let boil 1 minute. Remove from heat, cover skillet and let rest 8 minutes. Recipe source: Adapted from Tbsp. Susie: Looks delicious, will give it a try! I do make a dish somewhat similar to your recipe.